Central bank chief faces cliffhanger decision as rate call comes down to wire. The Federal Reserve faces a potential cliffhanger about whether to raise interest rates at its September meeting, a decision that will test Chairwoman Janet Yellen’s ability to lead an uncertain policy-making committee. Officials have signaled for months they intend to start raising short-term rates from near-zero interest before year-end. But they have provided no clear sign of having settled on whether to move at their next policy meeting Sept. 16-17. Minutes of their July 28-29 meeting, released Wednesday, underscored why the decision remains a close call. “Most [officials] judged that the conditions for policy firming had not yet been achieved, but they noted that conditions were approaching that point,” the minutes said. 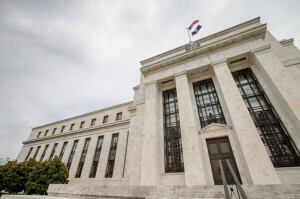 That passage might be read as a hint that officials saw a September rate increase in the cards, but the minutes showed officials had wide-ranging views about taking that step and several notable sources of trepidation. The Fed has said it won’t move rates until it is more confident inflation will rise toward its 2% target after running below it for more than three years. “Some participants expressed the view that the incoming information had not yet provided grounds for reasonable confidence that inflation would move back to 2 percent over the medium term,” the minutes said. Some officials worried about moving prematurely and lacking tools to respond if unanticipated events caused the economy to falter, and also about risks from developments abroad, particularly slowing growth in China. Staff economists advising Fed officials on the outlook lowered their forecasts for economic growth and inflation. A strengthening dollar is putting downward pressure on exports and lower oil prices are holding down inflation.